With the Affordable Care Act (ACA) and the Illinois health insurance marketplace in full swing, many Latino residents still have questions about how they and their families can benefit from the new health insurance options. 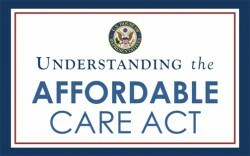 On Saturday, Nov. 16, at Cristo Rey Jesuit High School, 1852, W. 22nd Pl., local residents will have the chance to hear from health care advocates and elected officials about what the ACA is its benefits and the importance of protecting the first comprehensive health care bill for Americans. Free health, vision and dental screenings will be available. In-person counselors and health care navigators will be on hand to assist attendees as they begin the enrollment process. For more information, please call 312-822-0505.